Short-term Joint Staff Training for the inSCREENMODE Project! Screen abuse is not a separate problem on its own; rather it has been associated with multiple individual co-existing conditions (e.g. anxiety, isolation) as well as with general contemporary social circumstances and lifestyle (e.g. the ease and speed of establishing relations). 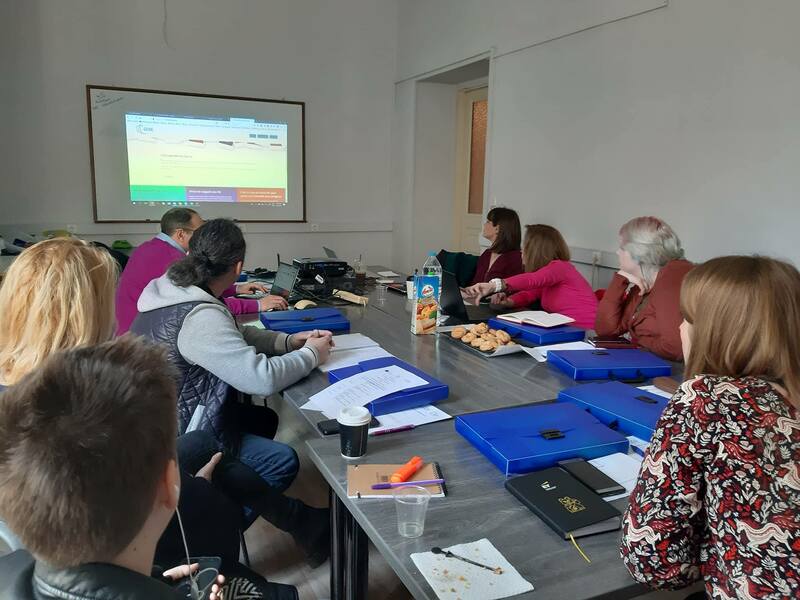 The consortium of the Erasmus+ project “In Screen Mode” has been investigating the topic while preparing an innovative novel training approach that will empower young people showing an excessive screen activity or being at risk for Internet Abusive Behaviour (IAB) to modify their habits. This will be achieved through the use of a personalised withdrawal or screen moderation plan facilitated by a novel Learning Motivation Environment and other technological tools. During the Short-term Joint Staff Training that was organised between the 4th and the 6th of March 2019 in Athens, Greece, the consortium-trainers got familiar with the methodology used to generate personalized screen moderation plans, discussed with the instructors the best ways to deliver the training content to young people and explored the functionalities of the Internet Addiction Genie and how to instruct learners to use it. We would like to thank the Coordinator of the project, Civic Computing Limited (UK), the hosting organisation CCS Digital Education (Greece) and the rest of partners Asociatia DIRECT (Romania) INT (Poland) Nottingham Trent University (UK) and GCA (Lithuania) for the successful training. Previous Post3rd Transnational Meeting for the Robot4ALL Project!